A month later, Satan’s test befell me once again. One day, my daughter who just got married came to my home. She fainted suddenly in the gateway, and my neighbor helped her into the house. In the evening, when I returned from spreading the gospel and saw my daughter sick, I thought it was a normal cold so I didn’t take it seriously. It was not expected that my daughter suddenly started to shake all over in the middle of the night. I was so scared that I didn’t know what to do. I held her tightly in my arms, and after a while, she felt a little better. The next morning, my daughter said to me, “Mom, you can go to perform your duty. Don’t worry about me. I’m okay.” I prayed to God silently in my heart, “Oh God! All things are controlled by Your hands. Today I will give my daughter to You.” Then I said to my daughter, “Xiaojing, you should pray to God and depend on God more. God is our strongest supporter.” With that, I went out for my duty. I had not imagined that when I went home two days later, my daughter was already in the hospital. I hurried to the hospital, only to see her lying unconscious in bed. My daughter-in-law said to me sadly, “Mom, Xiaojing’s condition has gotten worse since you left. The doctor did some tests, and said she had a brain bleed and needed brain surgery. However, both you and her husband were absent over the past two days and nobody could sign the consent form for her, so she has missed the best time for surgery. I heard the doctor tell Xiaojing’s mother-in-law that her condition could not be cured, and that she would be a vegetable even if she woke up.” Upon hearing this, I burst into tears. When I went to consult an expert holding out a faint hope, he shook his head. “We’ve used all the medicines we could think of and done everything,” he said. “The best outcome for her is to wake up as a vegetable.” Hearing the expert’s words, I felt as if the sky were falling, living in immense suffering. Later, my son-in-law, seeing my daughter that sick, not only did not care if she would die, but even inhumanely asked me for the customary bride-price he paid when marrying. That day, my home seemed so distant from the hospital. I walked on the way, lost and fallen, as if walking through a wisp of a dark tunnel, unable to see any light ahead of me. 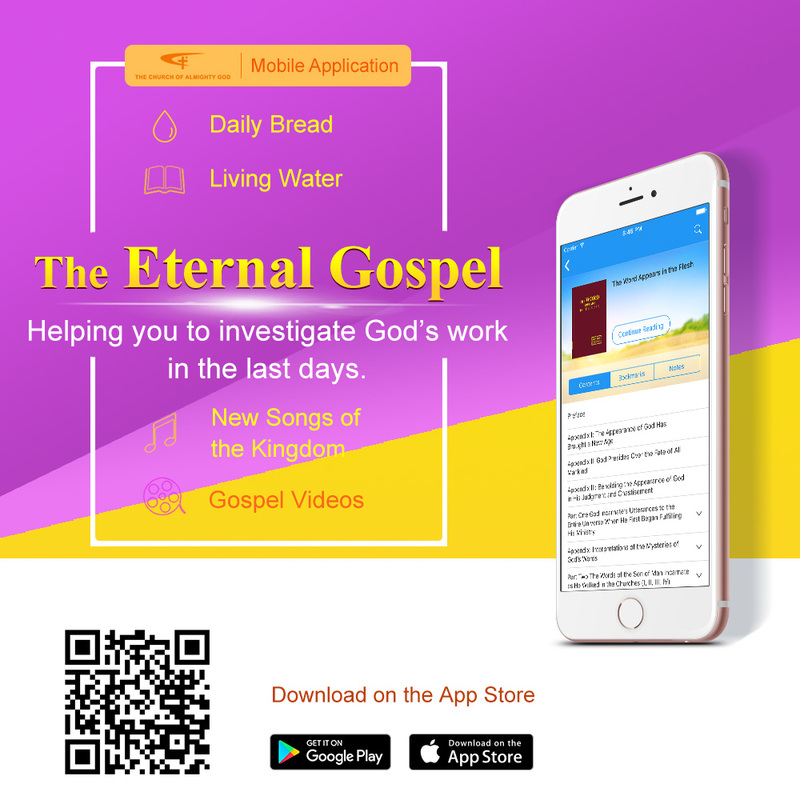 After arriving home, I opened the book of God’s word feebly, and saw these words, “On earth, all manner of evil spirits are endlessly on the prowl for a place to rest, are ceaselessly searching for the corpses of men to eat up. My people! You must remain inside My care and protection. Never behave dissolutely! Never behave recklessly! Rather, offer up your loyalty in My house, and only with loyalty can you mount a countercharge against the devil’s cunning” (“The Tenth Utterance” in The Word Appears in the Flesh). Late at night, I sat at my daughter’s bedside, drifting off to sleep unknowingly. In stupor I heard my daughter call me, “Mom, mom, I want to drink water.” Hearing her call, I sprang to my feet with a start. I wiped my eyes and looked closely: My daughter’s hands are moving, and her eyes open. I was so excited that for a moment I was at a loss for words. I just kept saying, “Oh God! Oh God! …” The other patients in the ward also marveled, “Oh, what a miracle! How come she just got better in an instant?” Grinning with delight, I saw that it was God who truly presides over man’s fate, who saved my daughter, and that His deeds were so wonderful! Three days later, my daughter recovered miraculously, just like a normal person. This made me see even more that the battle in the spiritual realm was so fierce and that Satan was so evil and contemptible. God chose me with an intention to save me, whereas Satan interfered with me time and again with various tricks. It attacked me by taking advantage of my daughter and attempted to make me blame, doubt, misunderstand God due to her life-threatening condition, and thus deny and betray God. God permitting these temptations to befall me was to make me understand the truth concerning the battle in the spiritual realm, and be able to discern Satan’s schemes and see clearly its evil and ugly substance, thereby breaking free from its trickery and affliction, living freely and unrestrained in God’s presence. At the same time, God allowed me to know His wisdom and omnipotence through such practical environments. In retrospect, when my daughter was first hospitalized, God protected her from brain surgery. All these circumstances seemed not good things, but they actually made me recognize that man’s fate is controlled by God’s hands and that everything God arranges for man is good. The word of God says, “My work in these three ages differs according to the nature of each age, but at each stage it accords with man’s needs—or rather, it varies according to the tricks that Satan employs in My war against it. The purpose of My work is to defeat Satan, to make manifest My wisdom and omnipotence, to expose all Satan’s tricks and thereby to save all of humanity, which lives under its domain. It is to show My wisdom and omnipotence while at the same time revealing the hideousness of Satan. Moreover, it is to teach My creations to discriminate between good and evil, to recognize that I am the Ruler of all things, to see clearly that Satan is humanity’s foe, the lowest of the low, the evil one, and to make the difference between good and evil, truth and falsehood, holiness and filth, greatness and baseness, as clear as day. This way, ignorant humanity may bear witness to Me that it is not I who corrupt humanity, and only I—the Creator—can save humanity, can bestow upon them things for enjoyment; and they may come to know that I am the Ruler of all things and Satan is merely one of My creations, which later turned against Me” (“The Truth Concerning the Work in the Age of Redemption” in The Word Appears in the Flesh). 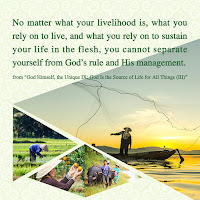 From God’s words, I understand God’s will all the more and realize that all that God does is salvation to man. Thinking back on the repeated trials, I’ve gained a great deal despite some sufferings: In experiences I saw that although Satan constantly used the people, events, and things to disturb me and tried to cause me to deny and betray God, God had been enlightening and guiding me at my side, so that I was able to become strong in negativity and weakness, see through Satan’s plots every step of the way, and see the wonders of God’s work. After these experiences, I feel even more that there is nothing fearful about Satan’s disturbance and affliction because God is with me and He leads me personally to overcome the temptations of Satan. Now I feel more certain about Almighty God’s work in the last days, and know that man, as a creature, should worship God whether he incurs blessings or adversities. I am resolved to follow Almighty God to the end.